The Yellow Belly Ponderosa (YBP) project combines culture, art and science to help convey a lifelong connection to, and understanding of, sustainable forests and watersheds. The program, delivered as an interactive play, reached elementary schools throughout northern Arizona. A talking “yellow belly” ponderosa pine (in the Southwest, this is the term we use for a large, old ponderosa pine) told tales about forest health and restoration, stewardship of our natural resources, the value of science, wildfire mitigation and safety, flash flood safety, and the connection of our forests to watersheds. 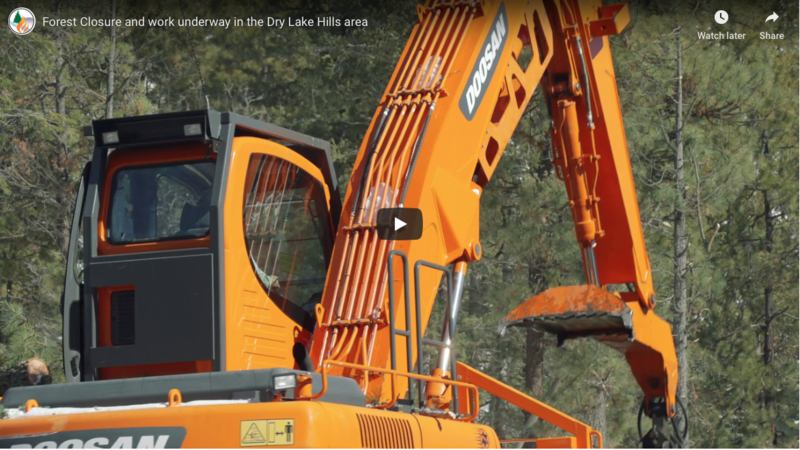 In Flagstaff, public support for fire adapted communities (FAC) work is exceptionally high (see this post). 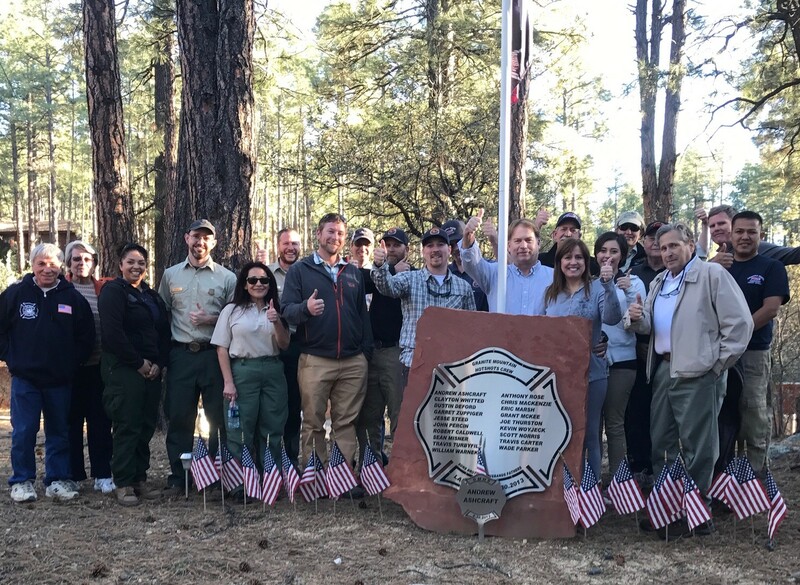 We credit programs such as YBP with increasing understanding of forest health and wildfire mitigation issues, which has ultimately created strong support for FAC work in and around our city. Below we explain how YBP evolved and what made the program so successful. After the first year of YBP and the incredible reception it received, the Greater Flagstaff Forests Partnership (GFFP) realized how important it is to educate youth about how the health of our forests is directly connected to the well being of our communities. This documentary about the creation of the program helped inspire GFFP to apply for a More Kids in the Woods (MKIW) grant to continue the program, which we received in 2012. The program began with a partnership between the GFFP and a local charter middle and high school, Flagstaff Arts and Leadership Academy (FALA). Older kids taught younger children through an interactive and educational performance. In its first year, the program provided 12 performances at elementary schools and for the broader community in Flagstaff. MKIW funding allowed the program to improve and expand with shows in 10 schools/communities targeting remote populations of Native American students and their families in or near tribal lands adjacent to the Kaibab and Coconino National Forests. Although the program has been memorialized through SRP’s efforts, it is no longer active. YBP was a grant-funded program and there is one performing arts school in Flagstaff that has the ability to create a program such as YBP. Environmental education designed to embrace the childlike spirit proved successful because the children connected to the storyline and learned while having fun with the characters, dancing and songs. YBP had a lasting impact, whether it was through the live performance, the lesson plans or the evaluations. YBP is a prime example of an educational program that matches relevant social and environmental concerns that affect our quality of life and sustainability of our natural resources.